EPOMEA Egaleo in cooperation with EPOMEA Paianias provide medical/first aid cover at the "Amalieio Institute Cultural Events Area". The "ENCELADUS 2016" 2nd International Training Conference was co-organized by the Region of Attica in cooperation with the Elite Special Task Force Egaleo. Mr Ioannis Balafas, Deputy Minister of Interior and Administrative Reconstruction, delivered a welcome address to all attendants at the opening ceremony of the Conference. EPOMEA volunteers' responsibilities, which begun in the midst of the conference, are being carried on. International U.S.A.R. 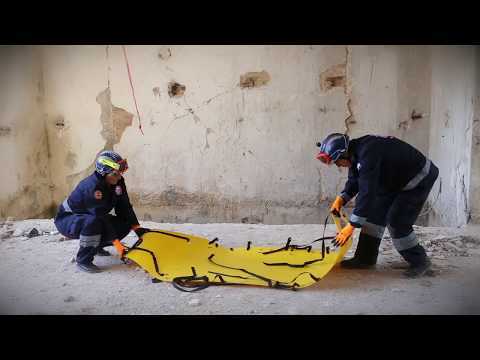 Εxercise "RESCUE 2016"
Volunteers of Elite Special Task Force Greece (EP.OM.E.A.) 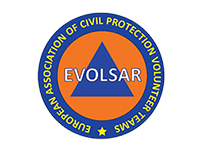 - branches of Egaleo, Thessaloniki, Volos and Pavlos Melas (Thessaloniki) - took part in the joint international rescue exercise entitled "RESCUE 2016" organized by the European Association of Civil Protection Volunteer Teams (EVOLSAR) on 22nd – 25th April 2016, in Soverato, Calabria, Italy. 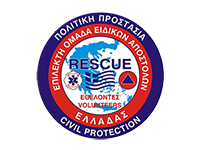 2nd International Training Conference "ENCELADUS 2016"
We are pleased to invite you to attend the 2nd International Training Conference "ENCELADUS 2016" which is organized by the Civil Protection Directorate of the Region of Attica in cooperation with the Elite Special Task Force (EP.OM.E.A.) 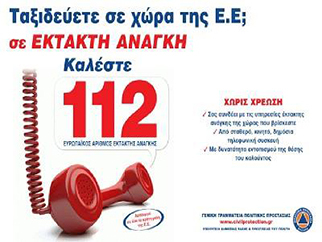 Egaleo and with the kind support of the Municipality of Egaleo. Humanitarian aid shipment for the refugees consisted of clothing was received at the airport by the EP.OM.E.A. Egaleo. The preparations for the “Enceladus 2016” 2nd International Training Conference, which is organized in cooperation with the Civil Protection Directorate of the Region of Attica and the EP.OM.E.A. Egaleo, are being carried on at a rapid pace. Following their humanitarian activity, EP.OM.E.A. Egaleo operates medical clinics in the Baseball Stadium and in the Arrivals Terminal of the Elliniko camp, in Elaionas and on the Greek islands of Lesvos and Kos, on a daily basis. 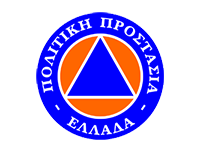 The first meeting of the Elite Rescue Team Ikaria members took place in the venue of the Town Hall of Evdilos, in the beautiful island of Ikaria, where they were informed and had a discussion about the training program and the beginning of the courses. The cooperation between the Greek Elite Rescue Team and the French WAHA International, that had started the previous October, is still being carried on.